Southern Foodways Alliance is holding their Summer Symposium in the bread basket of Kentucky this coming weekend: June 21st-23rd. Soup beans, the unofficial state dish of Kentucky, will be on the menu. And while 500 bucks sounds like a lot of money for a bowl of beans there is enough accoutrement to make sure you get your money’s worth. Chef Ouita Michel will prepare a meal at the Lyric Theater to honor her mentor Freda Raglin, a 77 year old Lexington cook who’s been in the trenches of hot kitchens in Kentucky for over 50 years. Elizabeth Catte, author of What You’re Getting Wrong About Appalachia, has went about the business of publicly correcting Hillbilly Elegy author JD Vance. She will continue to do so at the affair. Corbin native Ronni Lundy will sit and spin yarns about soup beans. Corbin is the buckle of the soup bean belt. Ms Lundy won the cookbook of the year award back in 2016. Filmmaker Ava Lowrey will be on hand to screen her ode to pinto beans. The common pinto has provided more sustenance to families in the eastern part of Kentucky than the next five dishes combined. Louisville chef Edward Lee will host a forum on the foodways of the Bluegrass State. Alexis Meza, founder of the Kentucky Dream Coalition, will deliver oral histories on the “Mexington” community. Gorditas will be figured in. 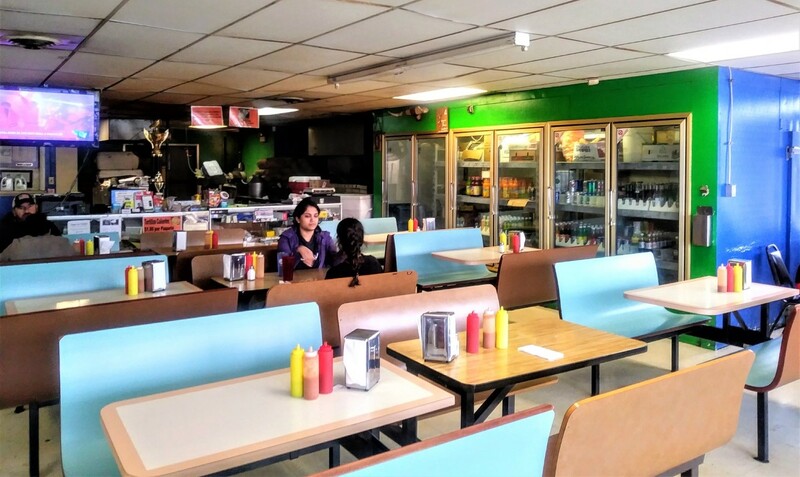 “Mexington” is a neighborhood in Lexington with a high concentration of taquerias, carnicerias, tiendas and other Mexican-oriented businesses. I visit this area at least once a year, and there are many businesses there that could open in Austin and make good money. It’s not a Kentucky party without fried chicken. Chef Jonathan Searle of Lockbox and Samantha Fore of Tuk Tuk Sri Lankan Bites will make sure no one leaves hungry. And there will be chili buns for all attendees. If you made a family crest of Kentucky foods, chili buns would be emblazoned alongside fried chicken, soup beans, and burgoo. They are the food group that I miss most of all as they are impossible to find in Louisiana. This entry was posted in FOOD and tagged 2018 Southern Foodways Alliance Summer Symposium In Lexington Kentucky. Bookmark the permalink.